The design is based on a watch gifted to Hodinkee founder, Ben Clymer. 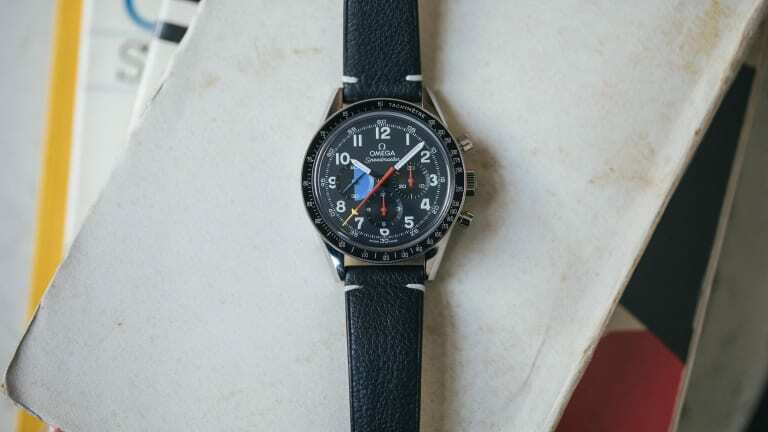 For their 10th anniversary, Hodinkee has teamed up with Omega on a limited edition Speedmaster, but obviously, this isn&apos;t just any ol&apos; Speedmaster. 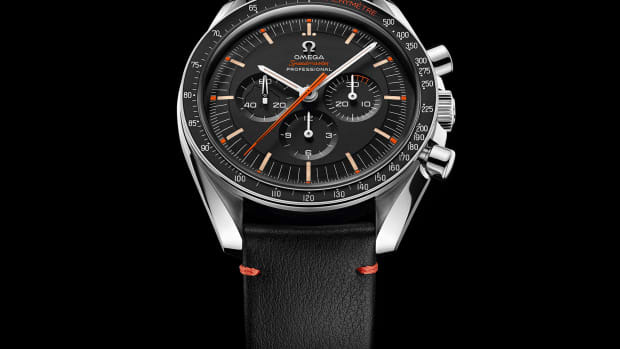 The design is based on the Speedmaster MK40, a watch that was passed down to Ben Clymer, founder of Hodinkee, by his grandfather. It also happened to be his first watch and the timepiece that inspired him to start Hodinkee. Many of those elements from the original watch have been replicated here, including the blue and black register, the yellow-tipped, red chronograph hand, luminous Arabic numerals, and the 39.7mm case size. The movement is a manually-wound Omega 1861 with a 48-hour power reserve. The back of the watch features Omega&apos;s signature Hippocampus medallion as well as its individual number out of 500, and a Hodinkee 10th anniversary engraving. The watch will be presented in a special box that includes an integrated travel case, and an additional strap w/ changing tool. 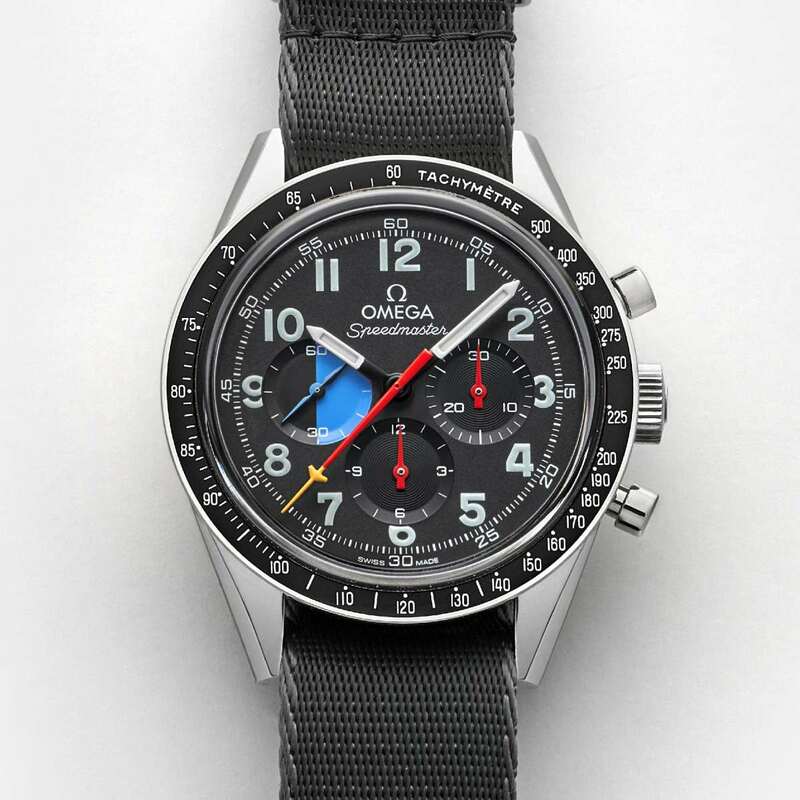 The watch is limited to 500 pieces and is exclusive to Hodinkee&apos;s store and Omega boutiques. 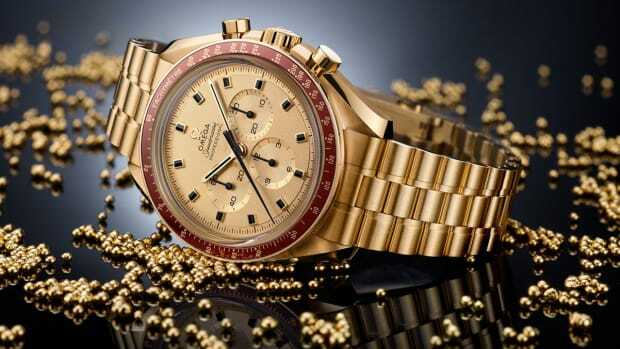 The watch's design is inspired by a Speedmaster seen in the Ultraman TV show. 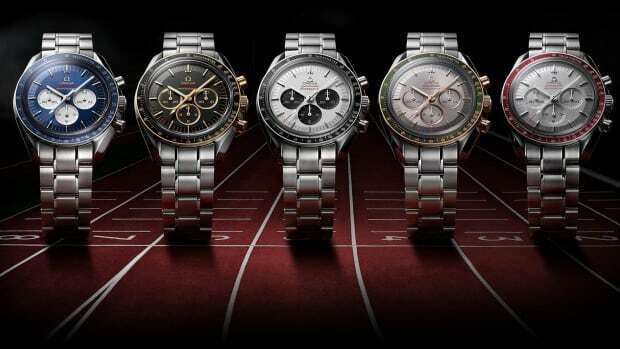 The watches will be exclusive to Japan. The original model was presented to NASA astronauts in 1969.